Partners in Wellness is a great way to make giving your pets the best care convenient and affordable. 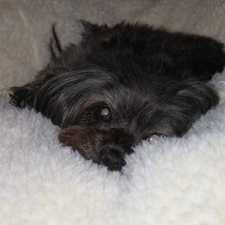 With Partners in Wellness you pay a small monthly fee and your pet gets all the preventive care she needs. 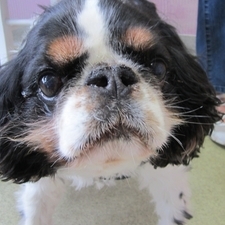 Included are all vaccines, parasite detection tests, dewormings, a microchip, a domestic health certificate and more. Puppies and kittens get a spay or neuter. Adults get monitoring blood tests to look for diseases before signs start or a dental cleaning. Mature pets get the monitoring blood tests, a dental cleaning and other diagnostics to look for problems before they start. Cat overpopulation is not only bad for cats, it's bad for wildlife and even human health can be impacted. Cat breeding can lead to devastating, incurable diseases like Feline Leukemia and Feline AIDs, not to mention to thousands of kittens one cat can deliver in her lifetime. Wild cats can carry deadly rabies and intestinal parasites that are contagious to people. Parkdale wants to help, so we offer CatsNAP: a cat neuter (male) and a rabies vaccine for $30.00. Please call 231-723-8998 for more information or to make an appointment for your Tom. If your pet's not too sleepy, neither are we! Tuesday and Wednesday evenings we're here until 8pm. It's the perfect time for an appointment with the doctor, to pick up food or medication or even schedule a lodging drop-off/pick-up. We're here, come on by! 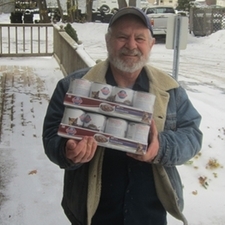 Parkdale is proud to serve Manistee's own hometown heroes. We are surrounded by brave men and women who have committed themselves to keep our homes, community, state and country safe and we want to say thank you. All active duty military personnel, police officers, fire fighters, or EMTs/paramedics working or stationed in Manistee will receive a 20% discount on all goods and services not already discounted. 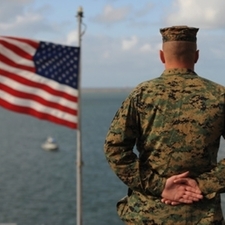 Simply show your military or public safety ID and we'll take care of the rest. Does Fido need some dog food? Does Fluffy need a medication refill? Weather terrible? No need to worry, we'll bring it to you! Whether you need fifty pounds of food or one pill, whatever you need, with no delivery charge. Just give us a call and we'll arrange a time and place (work or home) that's convenient for you. Mileage restrictions apply. The last Sunday in September, Parkdale Animal Hospital commemorates World Rabies Day by holding a free rabies vaccine clinic for dogs and cats. Since we started in 2008 we've vaccinated thousands of dogs and cats that otherwise would not have been vaccinated. 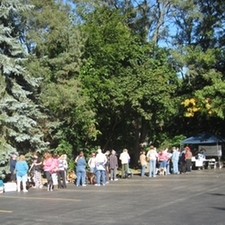 Each dog and/or cat will receive an examination by a veterinarian and a rabies vaccine. We also have free refeshments. You can't beat that! 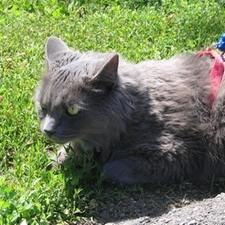 All dogs must be on a leash or in a carrier, all cat must be in a carrier, no exceptions. For a 3-year vaccine you must bring a rabies certificate to prove your pet has a current rabies vaccine (proof will not be accepted after the event). Call 231-723-8998 for more information. Pre-registration is strongly recommended (must be completed by the Friday before the event and must be done in person). The Homeward Bound Animal Shelter in Manistee is a wonderful organization that takes care of the homeless pets in our area. While providing shelter, medical care, vaccinations, spay/neuter surgeries is daunting they do it all and more. Parkdale helps the shelter by providing a significant discount for services but wanted to do more. We started a food drive and all dog and/or cat food you bring to Parkdale Animal Hospital for donation to Homeward Bound will not only be transported to the shelter but we'll match your donation pound for pound and can for can! 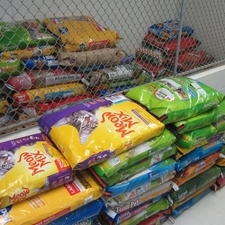 So far over 77,000 pounds of food has been given to the shelter!! Bring in your donation today! 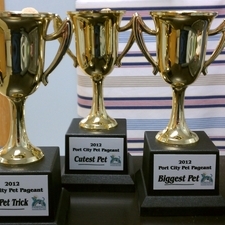 During the Manistee Forest Festival around the 4th of July, Parkdale holds the wildly popular Port City Pet Pageant. Area pets can strut their stuff and compete in a variety of categories including the cutest pet, most talented, most patriotic, twins (pet and owners look alike) and more. The winners are picked by a panel of volunteer judges. An overall pageant winner is picked by the audience. Does your pet have what it takes? You bet they do!! !